Happy Monday! I hope you will be having a great start of the week. 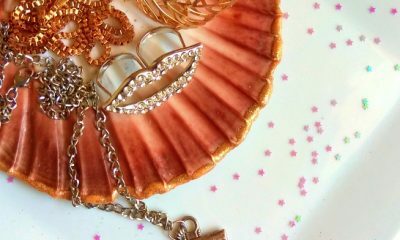 Organizing daily life stuff like fashion accessories, makeup and crafty goodies is not easy to handle sometimes. 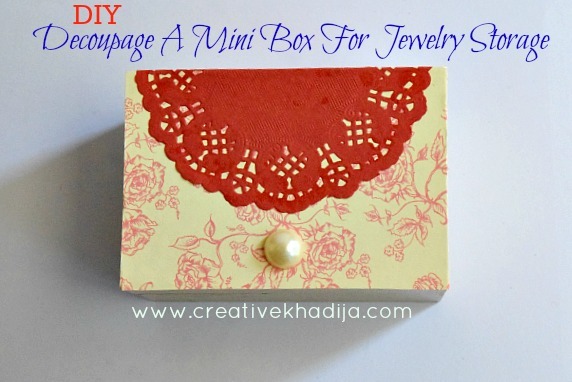 I am always looking for useful organizers and boxes for keeping stuff organized within my small space. 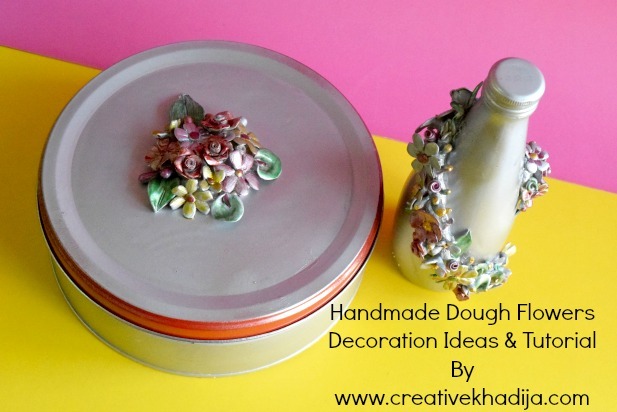 Recently I decorate a food tin jar which I was keeping in my crafty stash for some time. I know you enjoy my quick recycling tutorials. 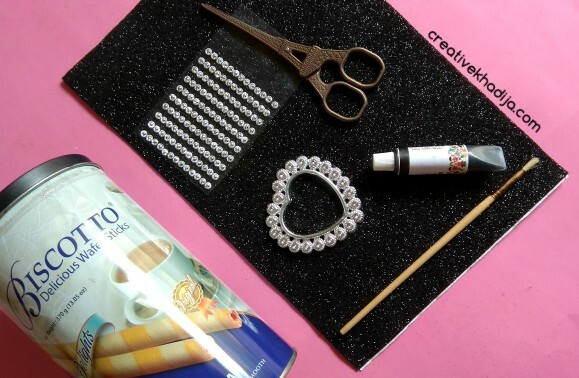 My today’s craft tutorial is one of those, you don’t need a lot of craft supplies for making this. 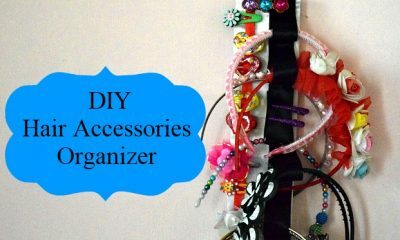 You can get organized by up-cycling an ordinary tin jar into a cute accessory holder within 10 minutes only! Let’s see how I am creating today. This tin jar was filled with biscuit sticks but after finishing the food, I saved the empty jar for reusing someday. Rhinestones and heart shape buckle. 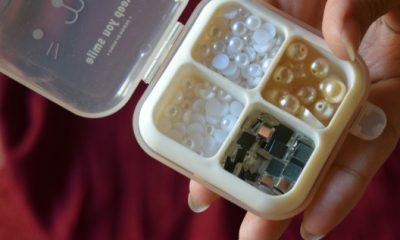 Hot glue gun or any adhesive glue. 1- Gather supplies for crafting the jar. 2- For the jar lid, I paint it with black acrylic paints. 3- Wait until it gets dry totally. You can double coat for perfect coverage. 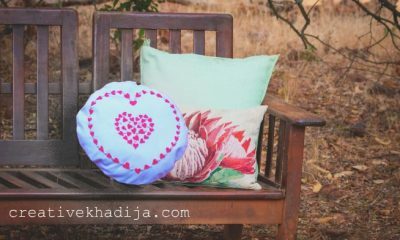 4- With the help of hot glue gun, I pasted a heart shaped buckle in silver color. Be ready to see glitter chunks everywhere on the craft space! I spear a pink sheet on the surface and it was very easy to clean the mess after crafting. 5- Measure and cut glitter sheet according to the size of box. My glitter sheet is A4 size and I only cut one inches from width side, length was totally fine. 6- Wrap it around the jar carefully. My sheet is already sticky from the back side but you can also stick any sheet with the help of hot glue gun. 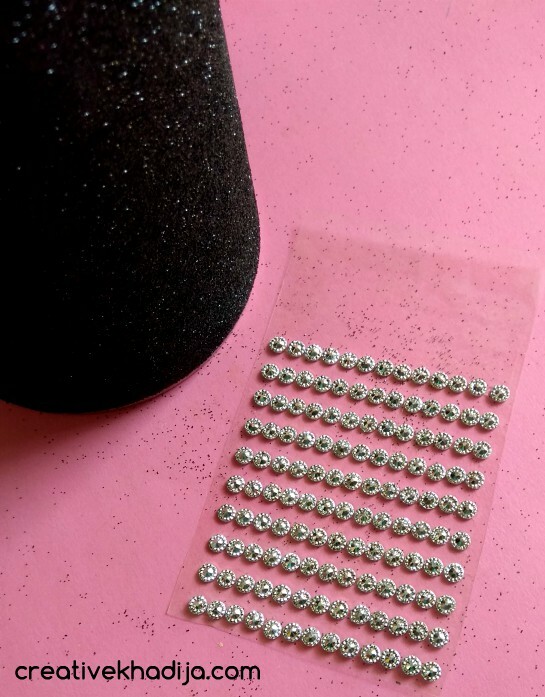 7- I paste some sticky rhinestones on the black glitter sheet over all without keeping any distance measured. 8- First I filled the heart shape charm with glitter glue but the black color was still visible. So I cut a heart shape of silver foaming sheet and fixed on it. 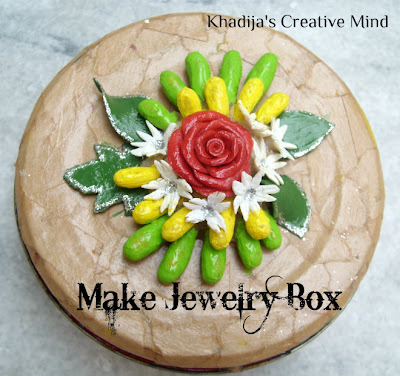 Box is ready to fill with any goodies which you want to keep organized. You can keep your jewelry, accessories, makeup brushes or cosmetics products too. There are many more possibilities to use this box. This can also be used as faux flowers bouquet pot. 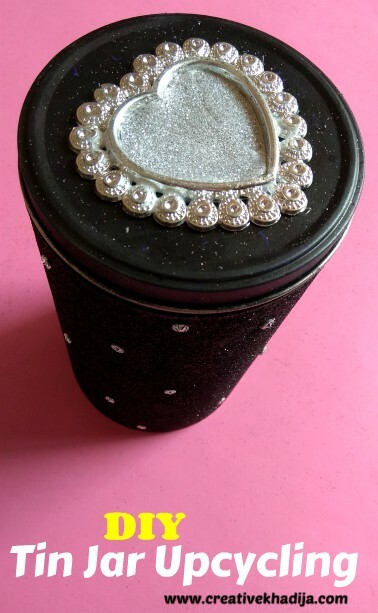 Right now I am keeping my makeup brushes in this decorated tin jar, but I am planning to fill it with my accessories. 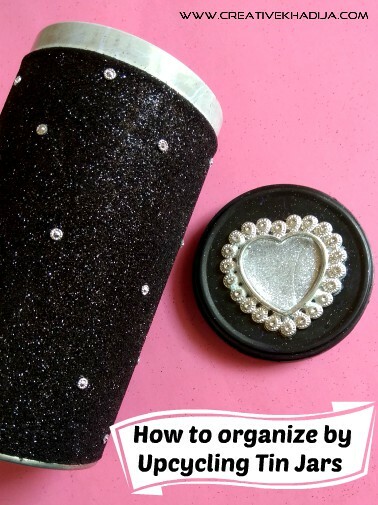 Important – A lot of glitter will be dropping off from the sheet while making this. So be careful if you have kids around you or some allergies to glitter tiny chunks. Also, do not store food items in this box because every time when you will open the box, glitter on your hand might stick with the food. Though it’s not something dangerous but its better safe than sorry, right? 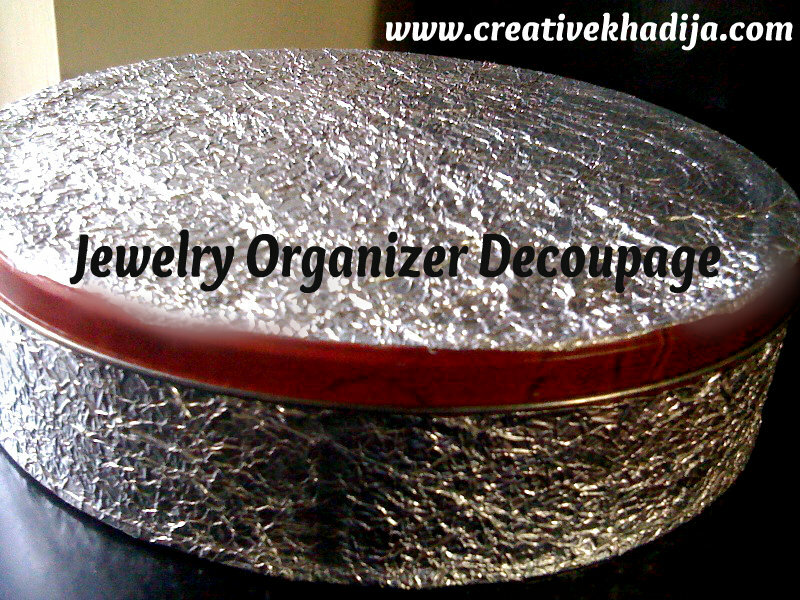 I hope you enjoyed my idea to get organized by up-cycling a tin jar in 10 minutes. 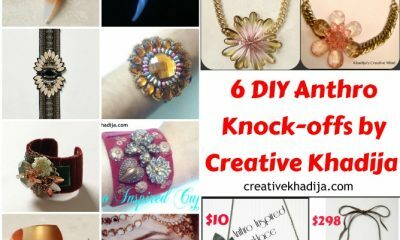 You will find these above up-cycling jars and boxes ideas-tutorials interesting as well as useful. 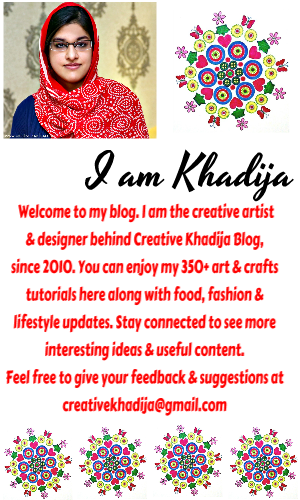 If you have any question or suggestion, feel free to drop a comment. Looking forward to see your feedback! It turned out beautiful. I have lots of glitter foam at home but I never thought to use it for something like this.